Into this breathing world scarce half made up". At the national press launch a prominent journalist, Will Hagon, asked pointedly if the then new had been “modelled on a loaf of bread”. Also obvious was that the spring rates and shock absorber settings were peculiar. 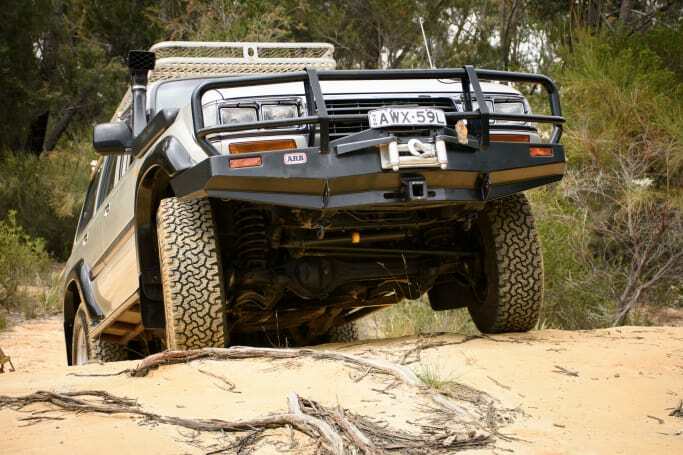 The new vehicles wallowed and would occasionally leap sideways in what soon became known as ‘Landcruiser Lurch’. The engine options at launch were a mixed bag, with a pair of overhead-camshaft, high-tech diesels contrasted against the ancient pushrod petrol six, now in 3F carburettored and 3F-E fuel-injected guise. 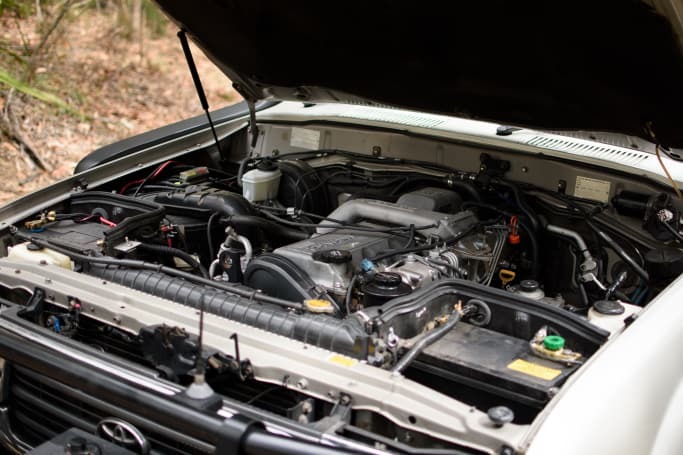 The petrol engine had originally been designed for the Toyota 45 Series and was now expected to haul around an extra half-tonne of 80 Series weight, while being nobbled by emissions gear. It made the petrol 80 Series an expensive slug, which, with its disappointing motor, could not emulate the success of the petrol 60 Series. Toyota pushed the turbo-diesel, which went like hell, but owners soon flooded Toyota workshops trying to get the idling and surging problems sorted out. Our mate Alf Johnston's 80 – pictured throughout this yarn – is a 1996 GXL 80 Series with a 24-valve 6-cylinder 1HD-FT turbo-diesel engine and automatic transmission. It has a touring friendly 270-litre fuel tank – a long range fuel tank set-up – and 30-litre water tank. A standard version had a 90-litre fuel tank and a 45-litre fuel tank. 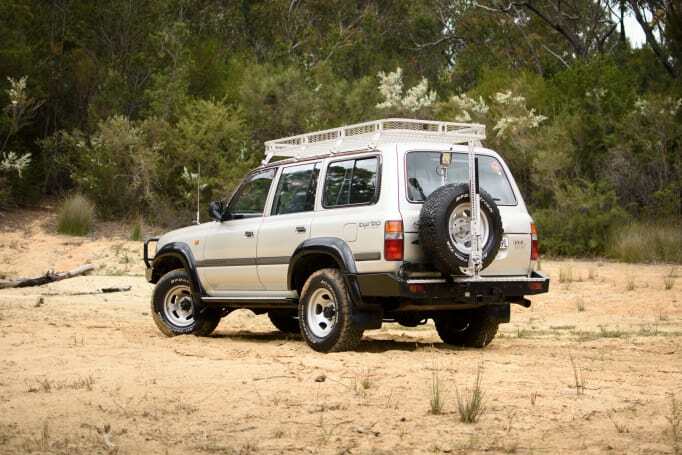 Towing capacity was 2500kg on the 90-95 models, then increased to 3500kg on the 80 Series after that. Tow-ready 80 Series had a tow bar. The Japanese Grandtreks were diabolical on slippery trails and vulnerable to damage. 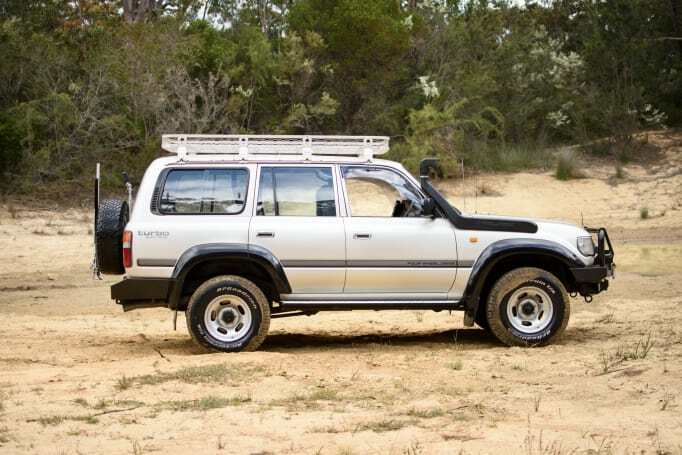 Only the working vehicle models, with part-time 4WD, skinny tyres and firmer coils handled well on and off road. Automatic transmission models had a torque converter and viscous coupling centre differential; both of which did much to damp out any engine torque curve ‘wobbles’, along with the considerable driveline lash which was another unpleasant side of Toyota's full-time 4WD system. 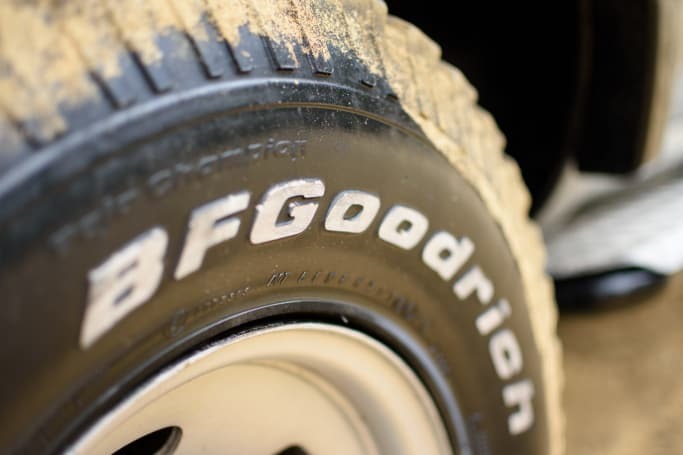 The full-time 4WD RV, GXL and VX models are better balanced on loose or slippery roads, but have more driveline backlash than the part-timer and need a front bearing repack more often, because the front axle is driving all the time. The automatic models are nicer to drive than the manuals, but the auto sump is vulnerable to rock damage and needs additional bash-plate protection. Factory-fitted front and rear differential locks were optional from 1993. 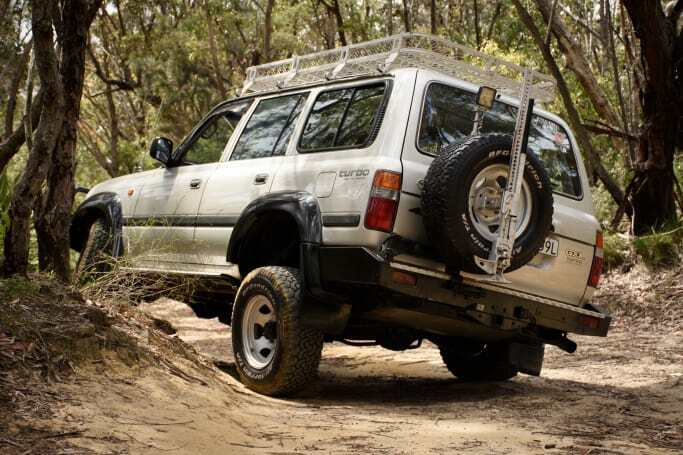 Suspension upgrades – aftermarket lift kits etc – have always been popular 80 additions for improved off-road driving. 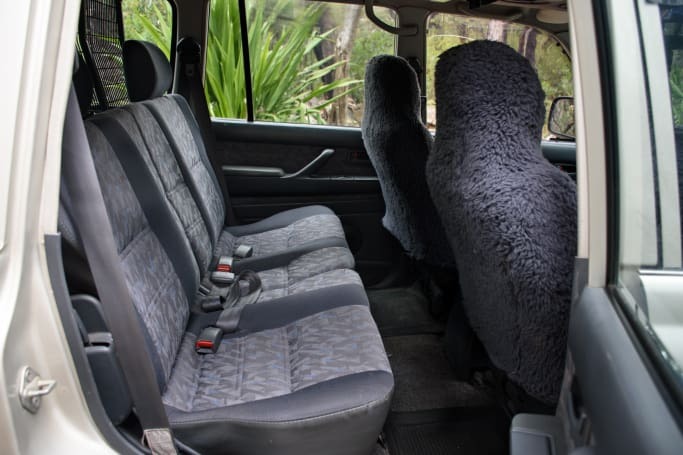 In 1990, the standard 80 Series was the split front bench, six-seater base model and the other, higher-spec versions, had bucket fronts, three-seat second row and a folding pair of rear seats. 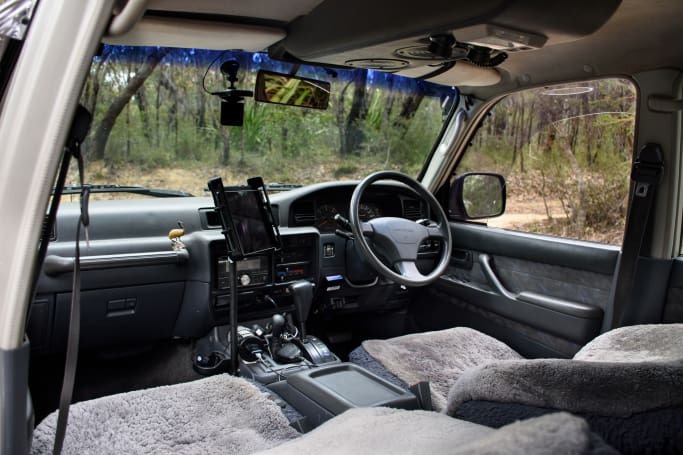 At that time, it had a state-of-the-art interior – with radio and speakers – and that set-up stood it in good stead until 1995, when a facelift updated the dashboard and interior fittings. Ergonomics were fine as were dimensions: seating was plush and the cargo area was larger than the Patrol’s and the Range Rover’s. The interior was also aftermarket friendly with room enough to accommodate a cargo barrier, drawers. Air conditioning was standard on GXL and Sahara; and an option on other 80s. Up top, an 80 Series can often be seen with a roof rack as well. Early 80 Series had dodgy handling, but the next-generation 80 Series - released when the new 24-valve, 4.5-litre petrol engine was introduced in late 1992 - had a revised suspension, which improved on-road handling out of sight. However, the improvements came with an unfortunate compromise in ground clearance. 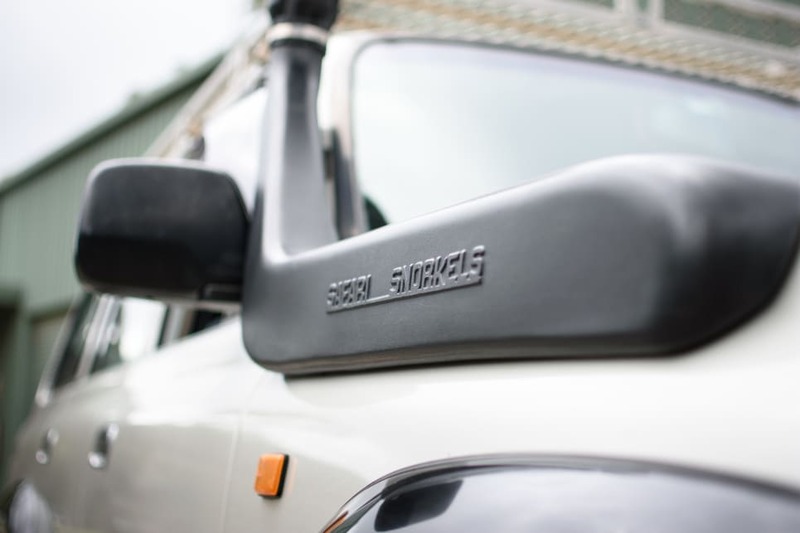 The post-92 80 Series sat a nominal 50mm lower at the back end than the first model, reducing centre of gravity and flattening cornering behaviour, but at the expense of off-road ability - particularly in view of the spare wheel location under the cargo floor. If the height reduction was unfortunate, the new petrol engine was awesome and restored Toyota to the 4WD performance-leading platform. 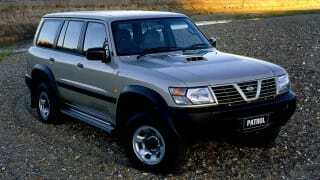 Airbags were fitted to the revised interior in 1995 and the 100 Series replaced the 80 Series in 1998. The four basic 80 Series range encompasses: FJ80R - petrol 3F engine; HZJ80R - diesel 1HZ engine; HDJ80R - turbo-diesel 1HD-T engine; and FZJ80R - twin-cam petrol engine. There are ample white ones around, with a smattering of hotted-up matte black versions as well. The best used 80 Series buys are in the base-model area. ‘Standard’ 80s came with the 75 Series driveline, using a part-time 4WD system and a choice of the 3F petrol engine or 1HZ, naturally-aspirated diesel. The 3F gave way to the 1FZ-FE fuel-injected twin-cam in late 1992. 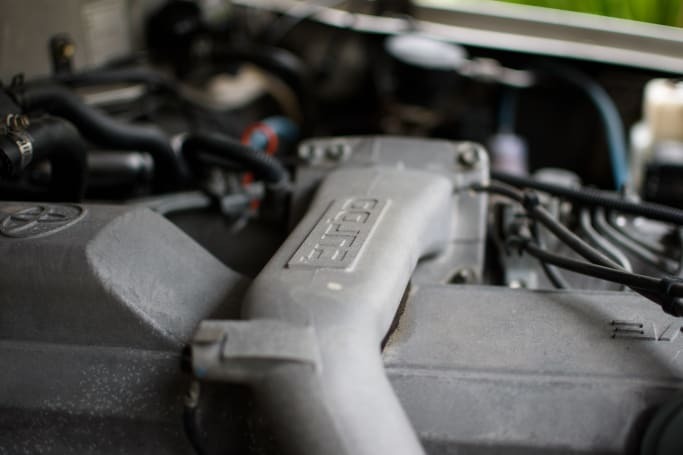 Most standard models are diesels, but those that have the petrol engine use a carburettored version, which is a much more flexible unit than the fuel-injected 3F-E used in the GXL and VX models. You'll find some 80s with still-working factory-fitted cruise control and a few with aftermarket jobs onboard. 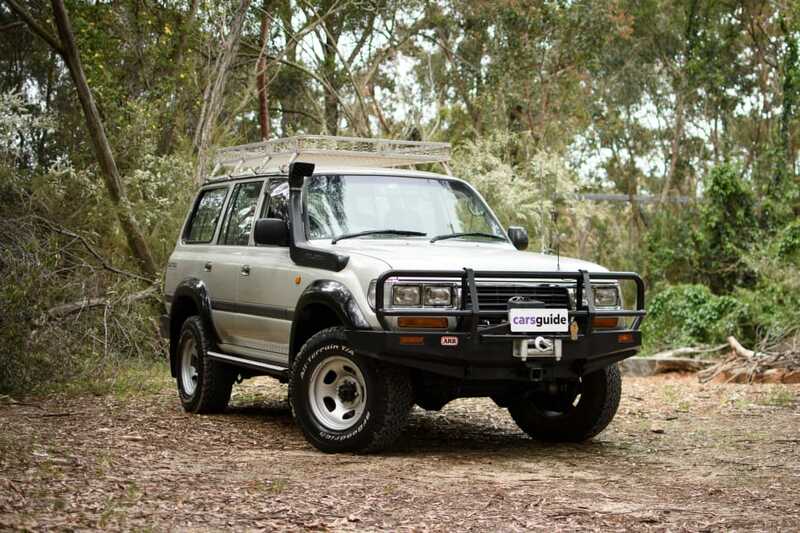 You'll also find plenty of 80s geared up for bush driving, with a bullbar, snorkel, bash plate (offering solid underbody protection), as well as rated recovery points, and any number of other accessories including mud-ready floor mats. Additional driving lights, such as LED headlights, are also a popular addition to the 80 Series. Although outputs are virtually the same, the 3F has its peak torque point at 2200rpm, compared with the injected engine's 3000rpm peak torque point. The carburettored engine also has a simpler, cheaper exhaust system, without a catalytic converter. Standard models are easy to distinguish, because they have vertically-split rear doors, free-wheeling front hubs and pre-1993 models also have drum rear brakes. While drums may seem to be a disadvantage, they provide a much more effective handbrake than the little drum-in-disc units which GXL, VX and post-1993 Standard models have. They're also a lot easier to service and adjust. Petrol GXL and VX models with the 3F-E engine are all 1990-92 build machines. The naturally-aspirated 1HZ diesel is bullet-proof and many have been turbocharged with success, despite Toyota's opposition to the job. The diesels need their camshaft drive belts replaced at 100,000 kilometres and both have expensive oil and fuel filters. The 1FZ-FE, 4.5-litre, in-line petrol engine was introduced in early 1993, along with the RV model. The 1FZ-FE engine was as durable as Toyota promised it would be, but servicing costs are elevated by high filter prices. Engines converted to run on LPG seem to live without any drama, but Toyota actively discouraged the practice. 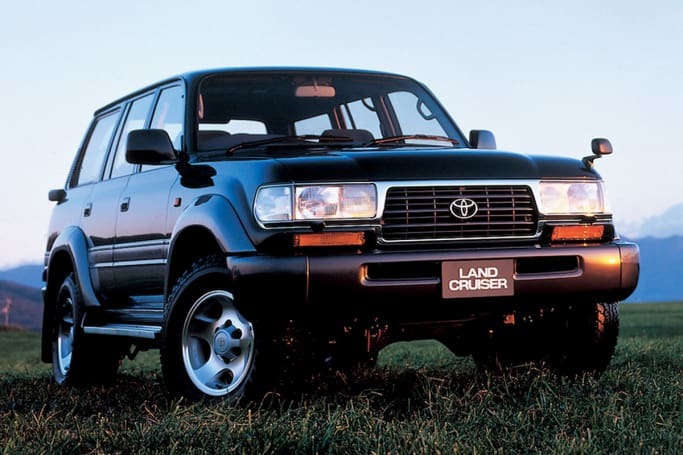 Gearbox problems included a pre-1993 major issue which was a crunching, vibrating manual gearbox – it was bad enough to cause Toyota to change its advertising message, dropping the reference to “vibration-free". In 1992 a redesigned manual transmission cured most gearbox complaints. Minor problems with early 80s include a clutch accumulator which leaked and can be best repaired by replacing it with the later model unit. Automatic transmission problems are infrequent as far as we know. 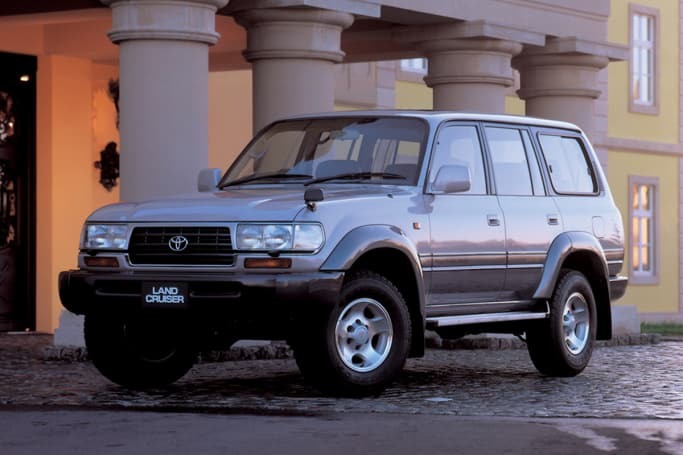 Toyota continued to support the turbo-diesel, finally replacing the 1HD-T with the properly engineered 24-valve 1HD-FT in March 1995, along with a facelift and revised interior. 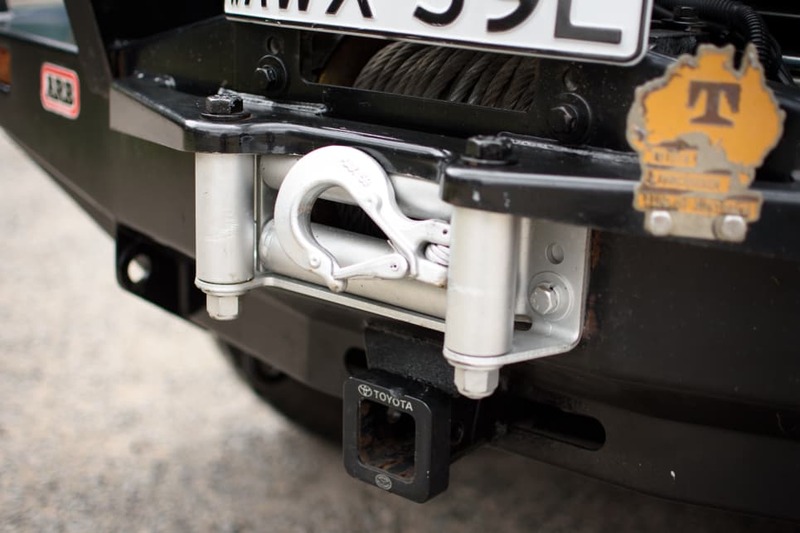 Vehicles that don’t have the factory-fitted diff lockers can be kitted out with aftermarket lockers. Various types are available, from LSDs to self-lockers and air- or electrically-actuated diff locks. 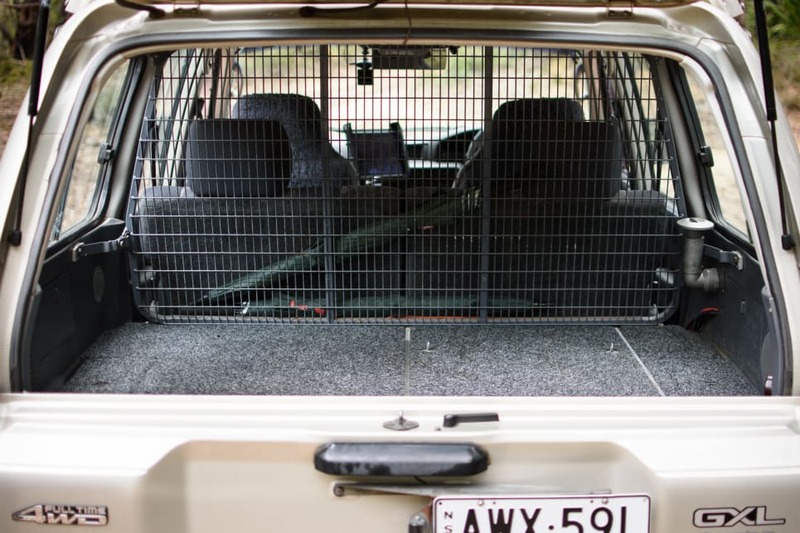 Some bar makers still produce bull bars and rear bars, including swing-away spare carriers, for the venerable 80. 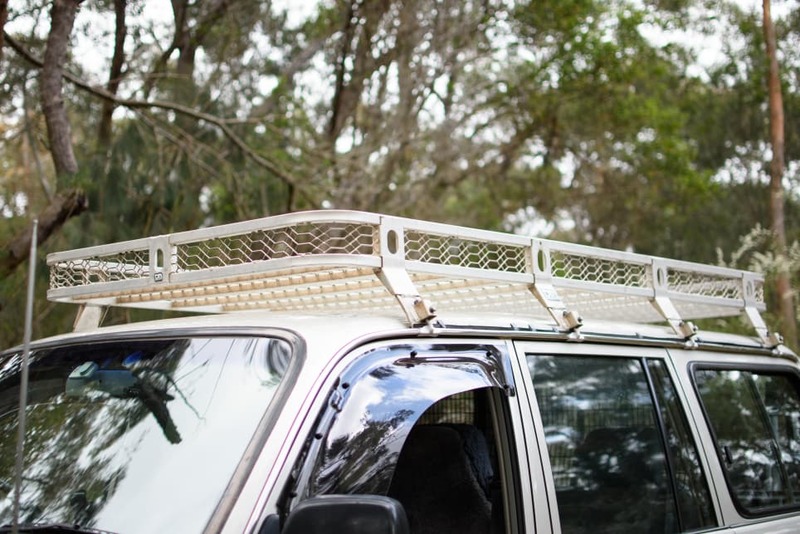 Because the 80 has roof-edge gutters it’s easy to find generic roof-racks to fit. There are also cargo barriers and drawer units for 80s. 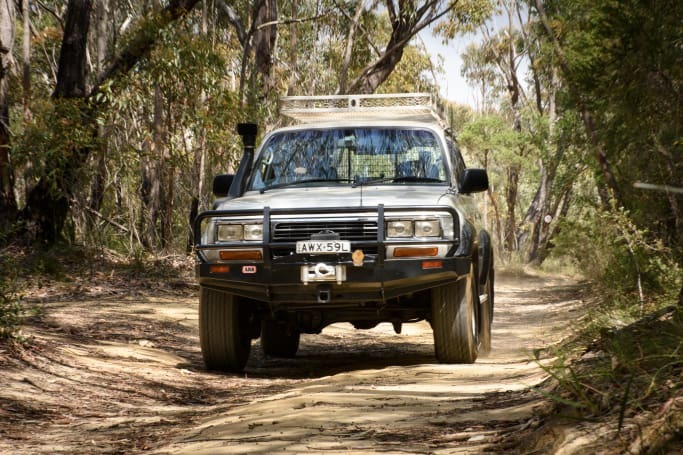 Modern bush tyres - preferably LTs - are necessary. There’s ample room under the bonnet for a deep-cycle second battery and there are also snorkel kits still available. 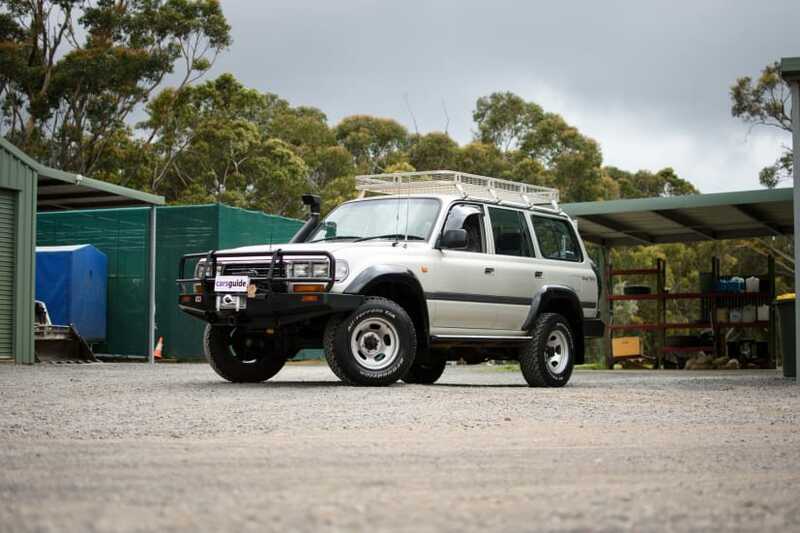 You can also buy an awning, light bar, spotlights and more for an 80 – they really are a versatile, go-anywhere 4WD and supremely well-suited to a camping lifestyle. 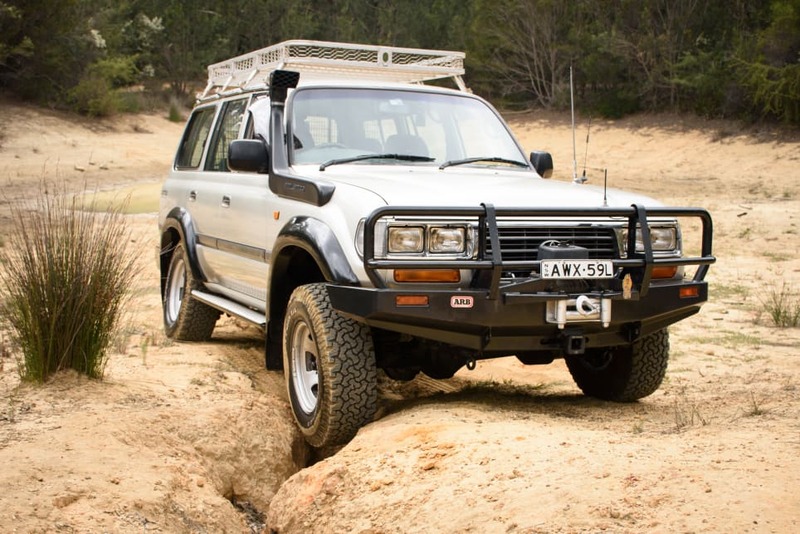 The 80 Series has stood the test of time and is still sought after by bush travellers who want a vehicle they can fix on the run. Most offerings in the used market are full-time-4WD GXLs and the pick of these is the 24-valve turbo-diesel. 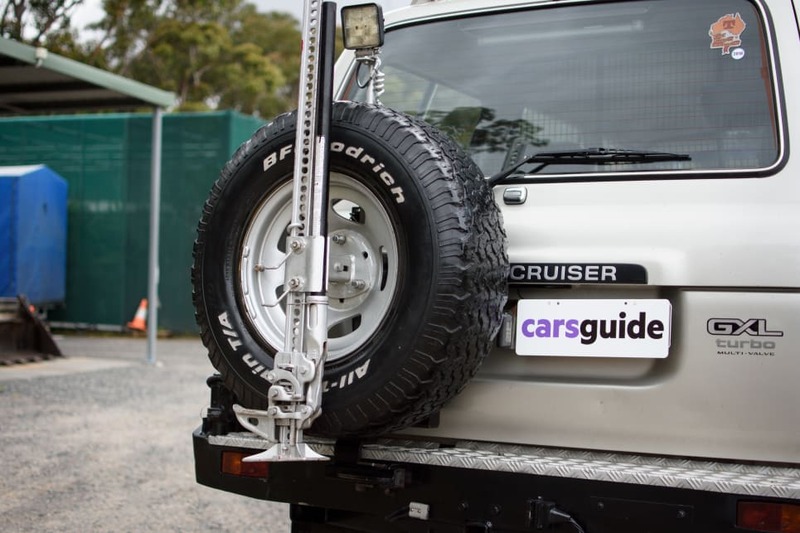 Have you got any 80 Series Land Cruiser tips? Tell us in the comments section below. 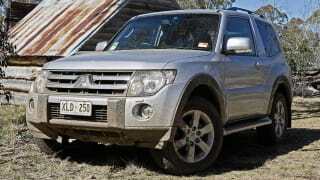 Ewan Kennedy reviews the Mitsubishi Pajero from 1991, 1992, 1993, 1994, 1995, 1996, 1997, 1998, 2000, 2001, 2002, 2003, 2004, 2005, 2006, 2007, 2008, 2009 2010, 2011, 2012, 2013, 2014 as a used buy. 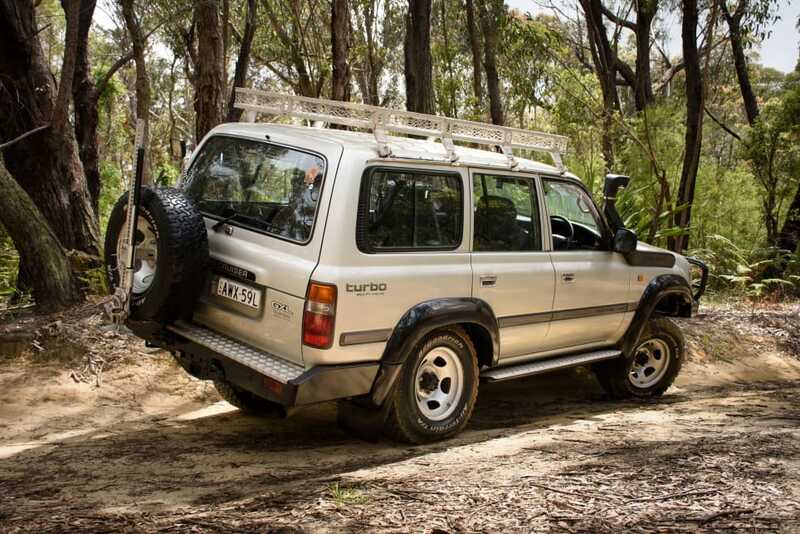 Ewan Kennedy reviews the GQ, GU and Y62 Series Nissan Patrol from 1996,1997,1998,1999, 2000, 2001, 2002, 2003, 2004, 2005, 2006, 2007, 2008, 2009, 2010, 2011, 2012, 2013, 2014, and 2015 as a used buy. 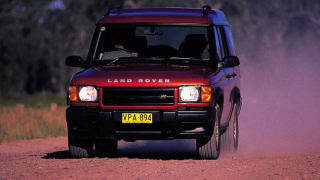 Graham Smith reviews the 1999, 2000, 2001, 2002, 2003, 2004 and 2005 Discovery II as a used buy.